The Burgess-Shadbush Nature Center is hosting their annual Maple Syrup Program in 4 separate sessions on Saturday, April 9 at 11:00am, Noon, 1:30pm, and 2:30pm. This hands-on educational program will teach you and your family about the natural maple-making process. You will learn how the sugar “gets into” the tree, how to recognize a maple tree, and about the tapping process; there will also be an opportunity to use an old fashioned brace and bit, but, out of respect to the local nature, the exercise will not be done using a real tree. At the end of the program, participants will gather around a fire to experience the “boiling down” process which makes the syrup. Then, visitors will be served a bowl of ice cream with a warm maple syrup topping. Pre-registration is required for this event and must be done in person. The cost is $3 per person age 4 and up. Due to the popularity of this event, early registration and payment is recommended! Before going out for late-night trick or treating with the little ones, parents are invited to bring kids of all ages to Trick or Read. This spooky event will be happening at 10 a.m. on Oct.31 at the Shelby Township Library, located on 51670 Van Dyke Ave.
Be sure to bring your Halloween spirit by dressing up in costume. Your kids will explore the library to hunt for tasty treats and hear spooky and fun stories along the way. A special guest author from Shelby Township, Aimee Entwistle, will have a reading of her children’s book Halle-Weenie in the library as well. Copies of Halle-Weenie will be available to purchase afterward. No registration is needed to attend the event. 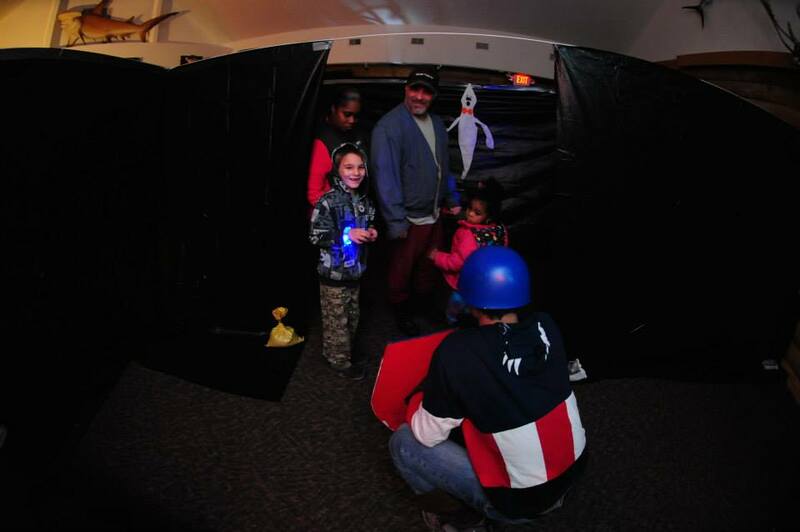 Ghosts and ghouls are lurking at Shadbush Nature Center, ready to show any visitors a night of fun and frights. Parents and kids are invited to join in some Halloween-themed fun starting 6 p.m. to 8 p.m. on Oct. 23 and 24 at the Burgress-Shadbush Nature Center located on 4101 River Bends Drive. 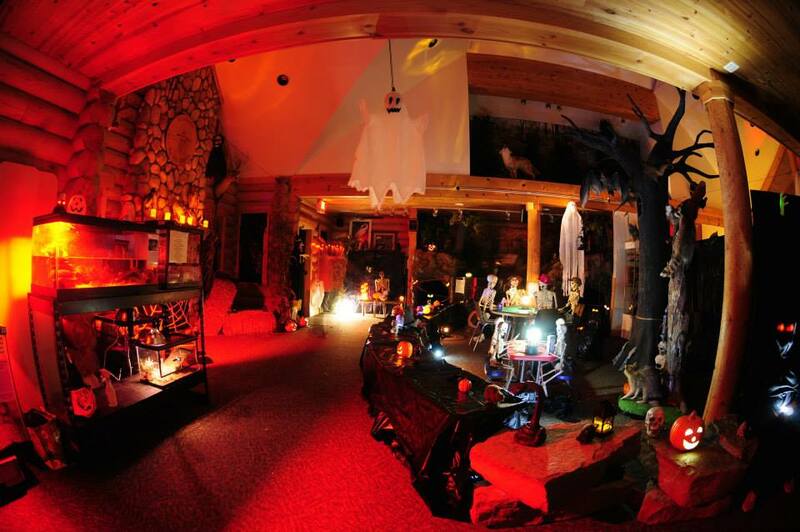 The Nature Center will be completely decorated to match the spooky theme of the event. This creepy-crawly event will have fun costumed characters handing out candy to any trick-or-treaters that stop by, so bring a trick or treat bag. Kids are encouraged and welcomed to dress in their best costumes for this event. Various animals from the Shadbush Nature Center will be shown to the kids to add a more haunting allure to the various attractions. 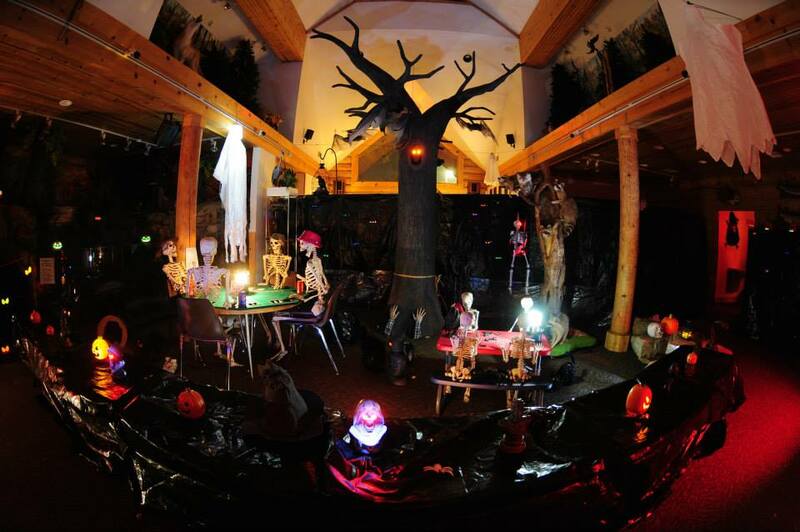 The entire Burgress-Shadbush Nature Center will be decorated to evoke the more playful and fun side of Halloween. However, if there are concerns about the event being too frightening for your child, it is recommended that one parent enter the attraction before their child does, and see if it would be frightening or not. Images of last year’s event, along with a video of a previous Haunted Nature Center will also be provided below as a guide for parents. Children must be accompanied by a paid adult; the event is two dollars per person above the age of three. Pre-registration is not available, only walk-ins. Last admission is at 7:30 pm.